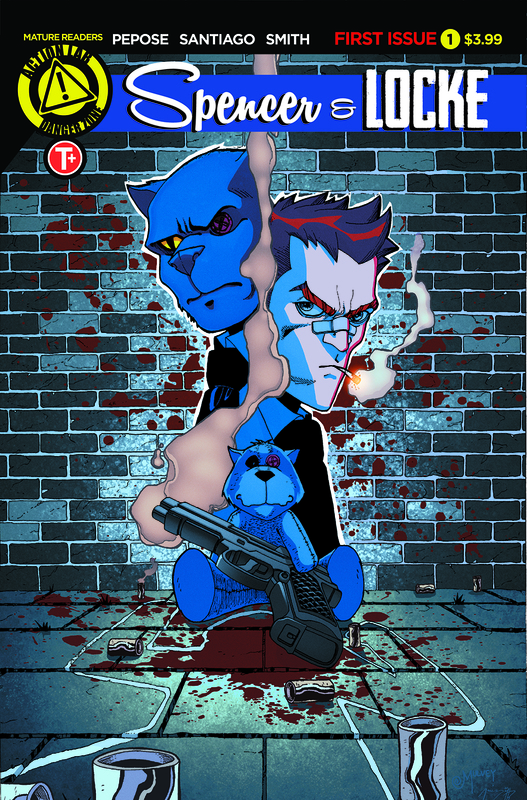 David Pepose and Jorge Santiago Jr. team up for a gritty crime story — with imaginary friends. 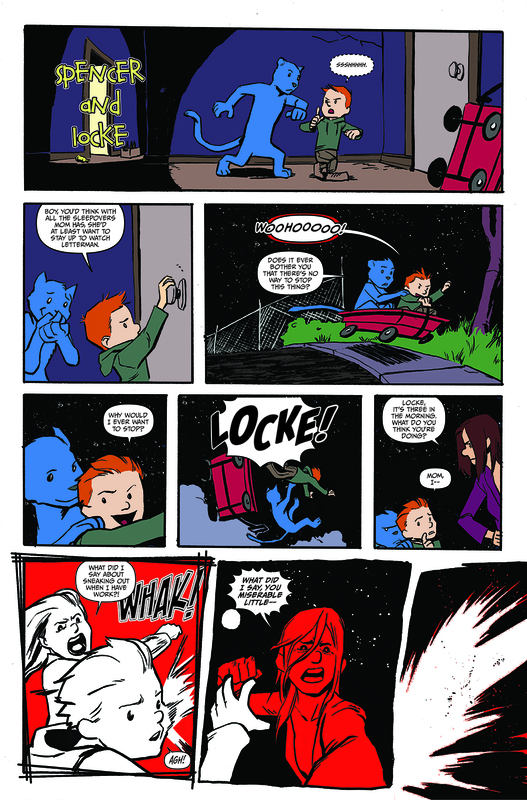 If you ever wondered what happened to Calvin, Hobbes and their friend Susie, well … David Pepose and Jorge Santiago Jr. have an idea, and it isn’t exactly pleasant. 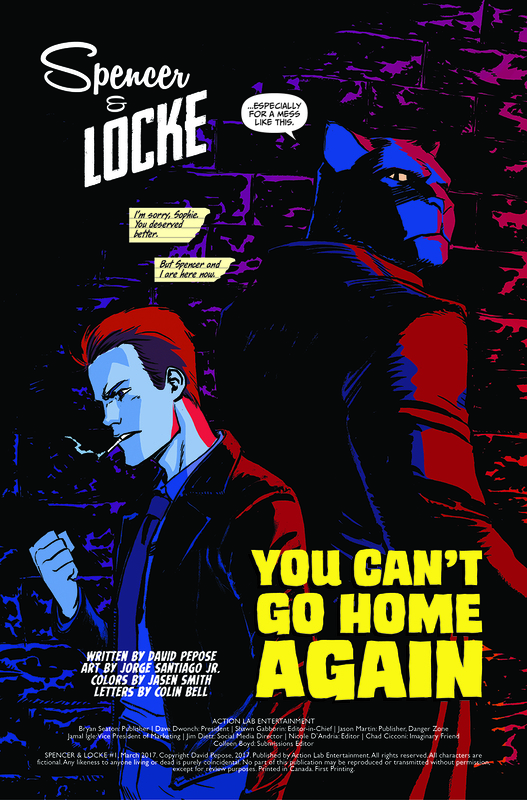 With the tagline “What if Calvin & Hobbes grew up in Sin City?” Spencer & Locke reveals what happens when Detective Locke and his imaginary partner, a panther named Spencer, discover Locke’s grade school sweetheart, Sophie, died in a back alley. 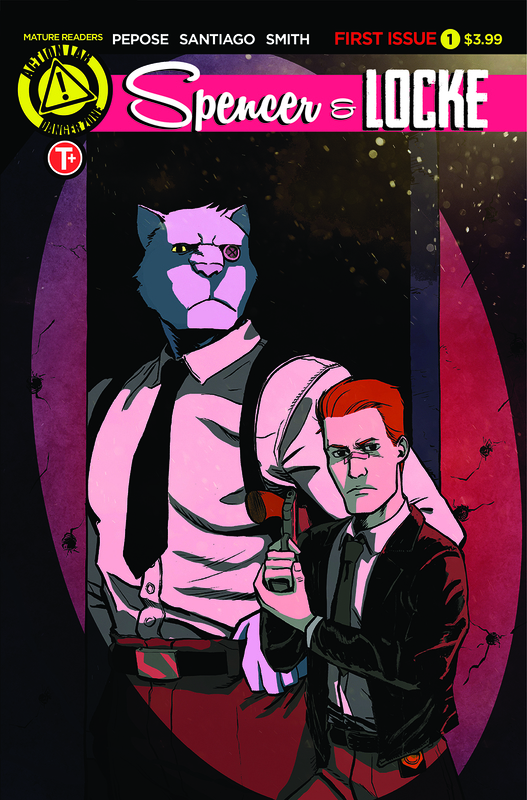 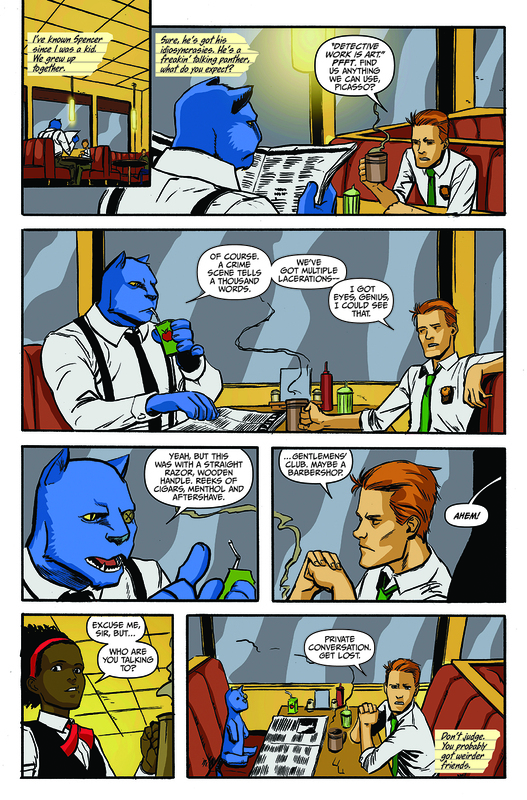 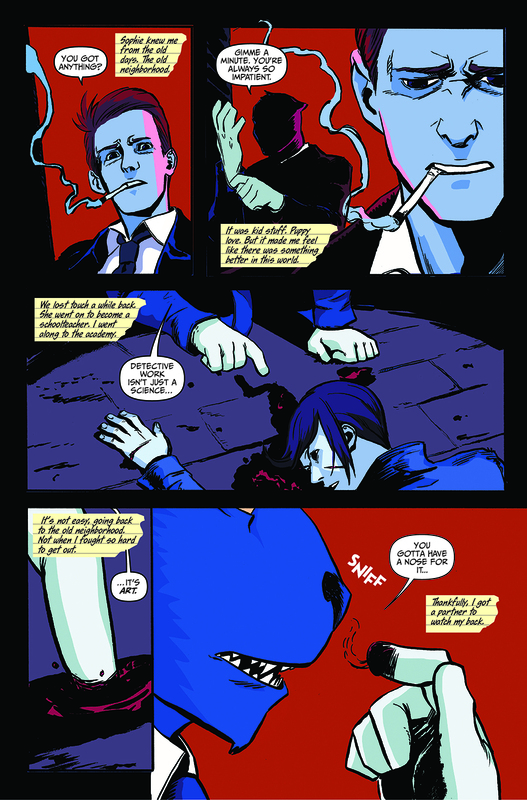 Coming in March 2017 from Action Labs Entertainment, Spencer & Locke is a four-issue miniseries written by Pepose, whose name comics fans might recognize from his reviews at Newsarama, with art by Santiago (Curse of the Eel), colorist Jasen Smith and letterer Colin Bell. 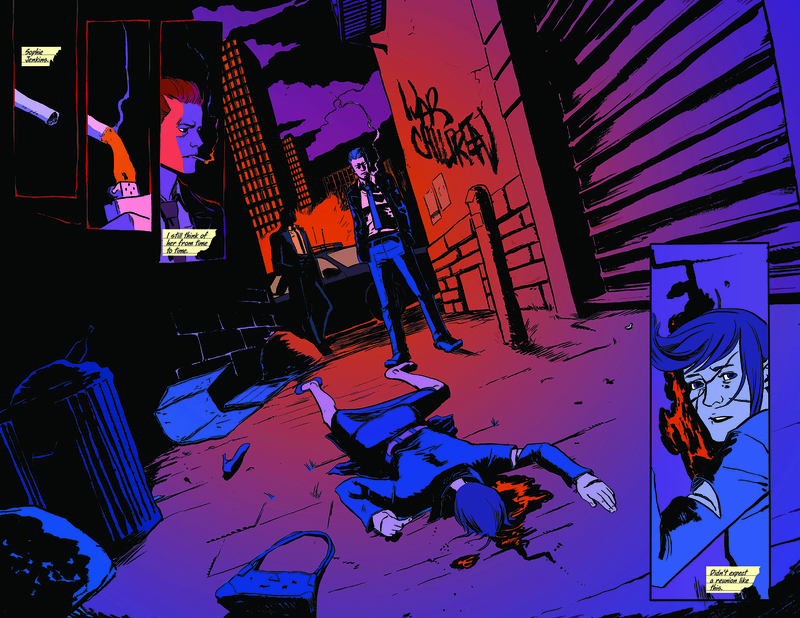 Check out a preview and trailer below, and if you’re at the New York Comic Con this week, pick up a variant edition of the first issue at the Action Lab booth.